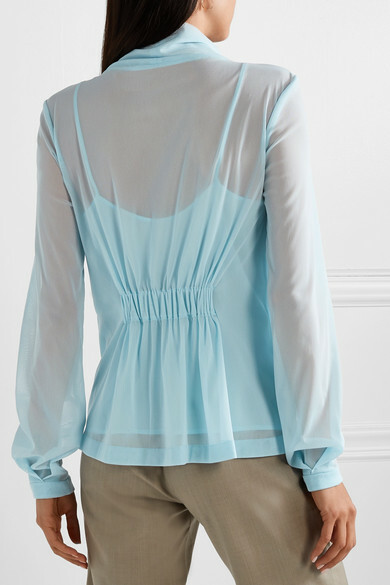 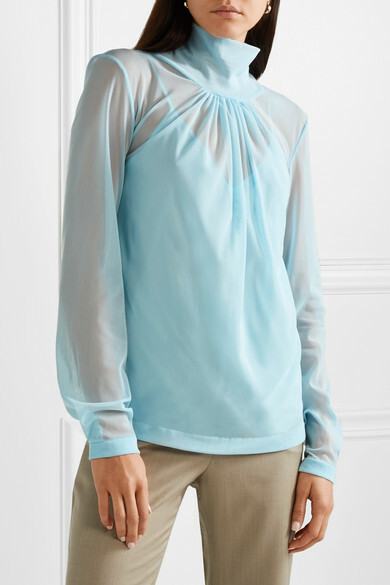 Victoria Beckham was photographed wearing this sheer blouse with red flared pants at Paris Fashion Week - she opted to underpin it with a tonal lacy bra, but the detachable lining works just as well. 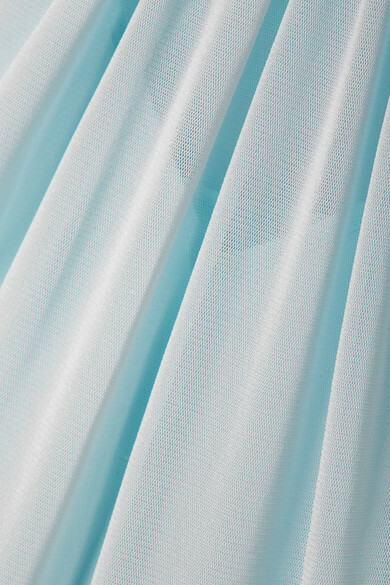 Made from airy stretch-tulle, it has a high, gathered neckline and elasticated panel at the back to give the slightly loose shape subtle definition. 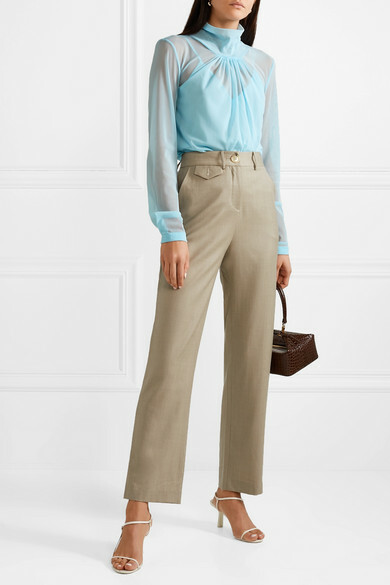 Shown here with: ANNA QUAN Pants, REJINA PYO Tote, The Row Sandals, Loren Stewart Earrings.